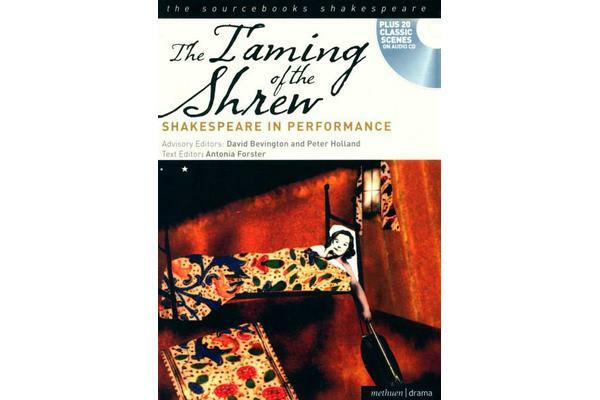 ‘You will experience the words of Shakespeare as you have never before, interpreted by some of the most accomplished actors of our time’ Sir Derek Jacobi ‘A rare and valuable resource’ Andrew Wade Voice Coach, Royal Shakespeare Company The audio CD with this edition of The Taming of the Shrew contains a series of recordings to illustrate how different actors place their own interpretation on the play. Hear superb peformances from Estelle Kohler and Bill Homewood, Peter O’Toole and Sian Phillips, and Frances Barber and Roger Allam as well as narration from Sir Derek Jacobi. The text is illustrated with photographs from notable productions and film adaptations, and takes you behind the scenes with set drawings, costume designs and scene edits, all from original notes. 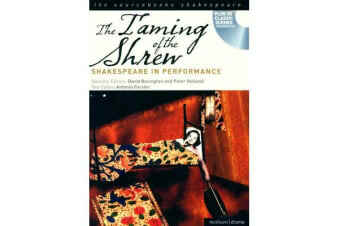 As well as the playtext there are articles and interviews from notable Shakespeare scholars and performers. An invaluable tool for students from GCSE to A level and beyond.